CUSTOM GAME. FULL SOUND AHEAD. 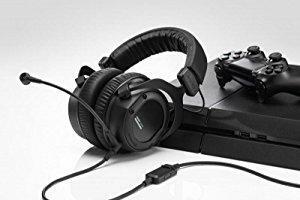 This is a next-generation interactive gaming headset, full of amazing features that you'll love: the Sound Slider located on the headset itself for selecting the audio profile of your choice, the cable remote control for PC and console, the high-quality microphone and the six different interchangeable design covers. Finally, a professional-quality headset that looks as good as it sounds. What's more, it is extremely comfortable and durable - after all, it is made in Germany. The interactive gaming headphones provide the full range of professional-quality gaming sound. A headset that gives you a headstart. Custom Game adapts to you and your environment. Choose the best setting for your game from four audio profiles. Choose your individual audio profile on the headset itself and adapt the sound to your game and your surroundings. The Custom Game Sound Slider lets you choose from four audio profiles. If you want to successfully suppress ambient noise in a loud tournament environment, you can choose the closed position. The second position provides optimum speech intelligibility and the finest details allowing you to track down your nearby enemy. The headset also provides balanced sound when used in conjunction with multimedia applications. If you don't feel like you're getting enough bass, you can simply switch to the open position and enjoy rich engine sounds or heart-pounding explosions. Full sound ahead! You have everything at your fingertips: the cable remote control allows you to have complete control whether on a PC or console. You have everything at your fingertips: CUSTOM GAME has an integrated cable remote control, which allows you to quickly and easily mute the microphone and adjust the volume. It's even easy to accept calls or manage different media via the cable's control function. No matter if you're using a PC or a console, the Y-extension cable included as standard means you can choose whatever device you want. 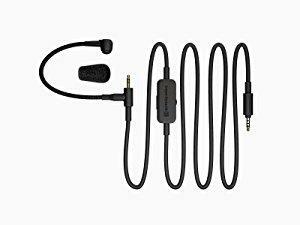 The professional gooseneck microphone can be ideally positioned and provides optimum speech intelligibility whilst you're gaming or on the phone. 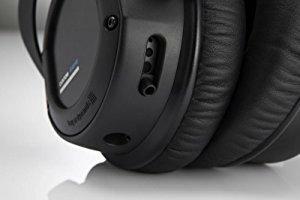 Super robust yet extremely comfortable: extremely high-quality materials and solid workmanship ensure that the headset will fit comfortably for years and years to come. You can expect the best. From the wear-resistant cable and the moving yoke joints to the spring-steel adjustable headband, all components have been designed to be extremely durable. The soft headband pad and ear pads also ensure that comfort is never an issue so you can enjoy hours of gaming fun without ever being distracted. The interactive gaming headset of the new generation. After all, professional sound should look really good. All this with the highest wearing comfort and longevity, made in Germany. The interactive gaming headphone offers you the whole range of professional-quality gaming sound. You can certainly expect the best. From the abrasion-resistant cable to the articulated fork joints to the adjustable headband made of spring steel, all components are designed for longevity. The comfortable headband and ear pads ensure well-deserved comfort even during hours of gaming sessions. The headset that can handle any number of levels. Choose your individual sound profile directly on the headset and adapt the sound to your game or its surroundings. With the Custom Game Sound Slider you can choose from four sound profiles. If you want to effectively suppress ambient noise in noisy tournament environment, select the closed position. The second position provides optimal speech intelligibility and maximum detail to accurately locate the enemy in their vicinity. For a balanced sound in multimedia applications is also taken care of. If you can not get enough bass, choose the open setting. For fat engine sounds or gripping explosions. Full sound ahead. You have it under control: Custom Game has an integrated wired remote control. This allows you to quickly and easily mute the microphone and adjust the volume. Even the call acceptance while playing or the media control are just about the control function in the cable possible. No matter if it's a PC or a console - the included Y-extension cable allows you to freely select your device. Always good: The custom game headset scores thanks to professional microphone with excellent voice quality. It can be precisely positioned and fits perfectly, even when it gets hot in the heat of the moment. The cardioid polar pattern and pop protection effectively suppress background noise and ambient noise. Ideal for Lan parties and louder environments. 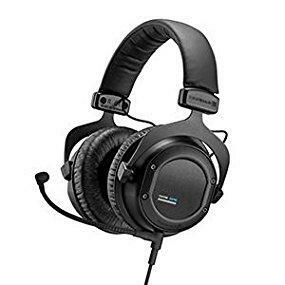 The custom game is the ideal headset for all gaming and multi- media applications as well as voice over IP applications. The detachable gooseneck microphone can be ideally positioned and provides maximum intelligibility of speech when playing and phoning. With the “custom sound slider” bass reflex vents at the Housing shells the sound can be selected in four stages from an analytical sound to a rich, full bass. The remote control integrated in the cable with Features such as microphone mute, volume control as well as temporary mute button is always within reach. No matter whether PC or console, the supplied extension cable ensures the freedom of choice to connect a device.